Heroin brings about a state of relaxation, and numbness by blocking the brain’s ability to perceive pain. 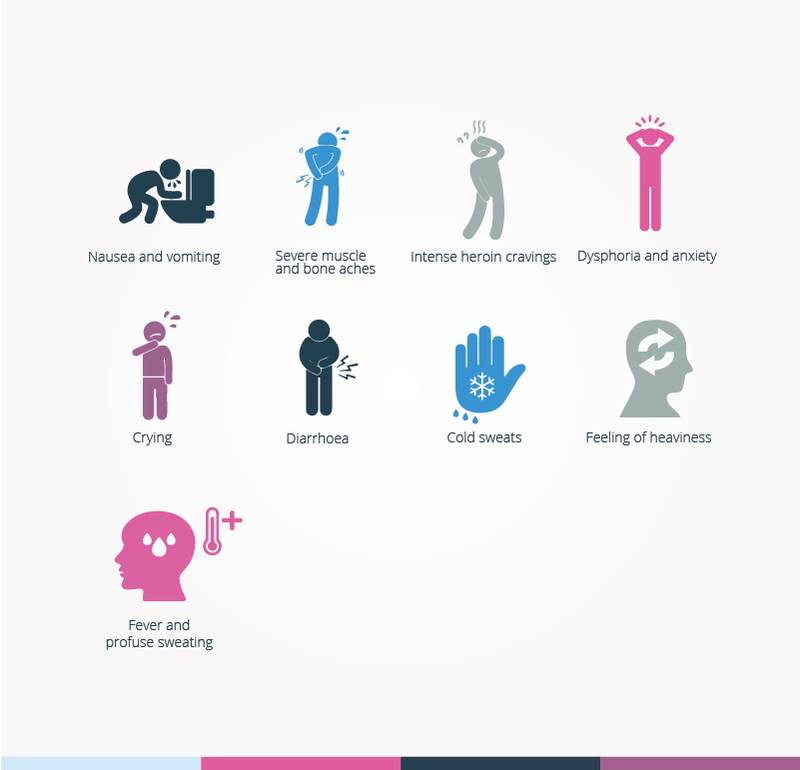 If you are a heroin abuser with a long history of drug abuse, the signs and symptoms of your heroin use may be easy to conceal. However, they cannot be hidden for too long. Heroin is a powerful and addictive drug derived from opium, which produces an intense euphoria and is commonly abused in the UK. Users experience instantaneous feelings of pleasure, elation, excitement and happiness. Heroin addiction is a menacingly common disease that claims thousands of lives every year. Heroin abusers cut across all social and economic strata or status, because of the drug’s high rate of availability and relative affordability. Prescription painkillers usually serve as gateway drugs to heroin. A study showed that roughly 80 per cent of heroin abusers started out abusing prescription opioids, which are addictive in nature. In most cases, those who can’t afford to keep buying them resort to using heroin. Despite the high mortality rate for heroin users, the number of people who use it in a bid to feed their prescription painkiller addiction is perpetually on the rise. When you become addicted to heroin, it takes full control of your life, causing noticeable changes; these can be physiological, behavioural, or even psychological. In spite of these signs and their horrendous side effects, heroin addicts still continue to prioritise the drug over their physical and mental health, relationships, and obligations. In the long run, heroin’s effects upon the lives, bodies and mental health of its users are devastating. Apart from the worst case scenario (which is overdosing on the drug), the impact of heroin abuse on both physical and mental health is serious and long-lasting. Injecting heroin can cause a lot of damage to blood vessels, including collapsed veins and infections, which can be fatal if the injection isn’t carried out properly. Long-term intravenous abuse of heroin can lead to arthritis and a higher risk of contracting diseases like HIV/AIDS and Hepatitis. Heroin damages the heart due to the stress and strains caused by the drug and the poor lifestyle choices of the user. Heroin can also cause blood clots, which in turn can lead to a stroke. Also, mixing heroin with other substances such as baking soda and Fentanyl (which may be toxic or damaging) is responsible for a growing number of deaths worldwide. Long-term users are at risk of fatal overdose if they quit taking the drug and then relapse. Just like other forms of addiction, heroin is devastating to the addict’s mental health and gives rise to feelings of loneliness, depression, worthlessness and hopelessness. Long-term Heroin use can cause structural changes in the brain, leading to a marked decrease in cognitive capabilities, decision-making abilities and the ability to regulate one’s behaviour. There could be a loss of short and long-term memory. There are also cases of emotional atrophy, where the addict is unable to relate to people who were once close to them. Heroin has several targets, as it modifies the way pain signals are transported between the nerves and the brain. Some of these targets are mood-altering properties, while others help with pain relief. When heroin binds to opioid receptors in the central nervous system, it evokes a state of euphoria, which is the primary reason why recreational users desire heroin. Like most addictive narcotics, heroin increases levels of norepinephrine and serotonin in the brain, which is partly responsible for heroin’s ability to alleviate obsessive-compulsive and depressive symptoms in patients. This serotonin causes dependence and subsequent addiction to this or a number of other illicit drugs. Heroin binds to opioid receptors in the brain, leading to a release of dopamine and other neurotransmitters, which in turn gives rise to an all-around feeling of wellbeing, relaxation and painlessness. Once the brain encounters these opioids, it is less likely to produce its own. The more a person takes heroin, the less natural opioids the brain will produce. This affects the opioid receptors and the risk/reward system in the brain. Because of this, the brain reduces how much serotonin, dopamine, and other neurotransmitters it produces since they are being artificially released due to heroin use. Can cause brain damage. This happens by changing the structure of the reward system in the brain, not allowing it to function normally; this is what leads to addiction. With increased heroin abuse, the addict experiences depressed breathing, which causes the body – and invariably the brain – to receive less oxygen. 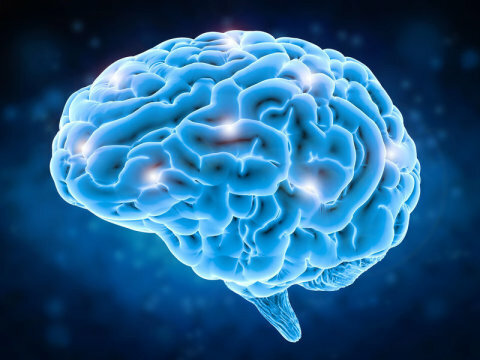 With less oxygen, the brain begins to reduce the function of other systems in the body, which can lead to organ damage – and in some cases, brain damage. Heroin abuse is linked to a form of brain damage that looks like Alzheimer’s disease. Studies have shown that heroin creates low-grade inflammation in the brain, along with a build-up of proteins and may induce a form of dementia in some people. Apart from the aforementioned signs, an addict might exhibit erratic and aggressive behaviour, as well as depression and withdrawal from friends or social events. They may feel the need to change their circle of friends to include fellow abusers. Often, heroin abusers tend to interact with other heroin users or illicit drug sellers. Typically, the abuser is unable to work due to lethargy and inanition; therefore, in order to pay for the drug, an addict might steal or resort to prostitution and other illegal activities that could expose them to legal troubles. Also, the people around them could notice their money or valuables are missing. Heroin addiction is caused by the repeated abuse of the drug. When this happens, addiction can develop quickly and the individual becomes dependent. However, this is not the only reason heroin addiction occurs. Studies have shown that certain factors make an individual more likely to become addicted to heroin, dependent on their physiological interaction of the drug with the brain, as well as their environment, genetics and personal experiences. Physiological causes: This is the strongest cause of heroin addiction and involves how the drug works in the brain and the manner in which it changes brain functioning. This will differ from person to person and can determine if an individual is more likely to become addicted to the drug after initial usage or not. Environmental causes: If an individual grew up in an environment where drug abuse was rampant, there is a high probability that they could also end up abusing said drug. People who were exposed at an early age to heroin are at significant risk of habitually partaking in drug abuse a way to cope with stress and pain. Hereditary causes: studies have shown that genetics contribute to whether a person is susceptible to drug addiction or not. For instance, a family history of heroin abuse and some other personality traits can make a person more vulnerable to developing an addiction to heroin. Heroin abusers who try to quit often experience excruciating withdrawal symptoms. This is one of the reasons some heroin addicts feel compelled to continue taking the drug, even though they would rather quit. Heroin withdrawal can take hold as early as a few hours to one day after use of the drug is halted. Without immediate medical attention, these withdrawal symptoms can lead to serious medical complications and in some cases, death. One of the unfortunate effects of heroin addiction is an overdose. Heroin overdose occurs when an individual consumes the drug to such a degree that their body is unable to safely metabolise or excrete it. When this happens, the body tries to prevent further damage, but in most cases is unable to do so. A heroin overdose can be considered an emergency and medical attention should be sought as soon as possible to prevent a fatal outcome. Heroin overdose is a time-sensitive emergency. Medical care should be sought immediately to avoid a potentially fatal outcome. Even if you’re unsure whether the person is actually experiencing an overdose, it’s still best to place a call and communicate the symptoms to medical professionals, before allowing them to determine if indeed emergency care is needed. An overdose is a sure sign that a person is grappling with an addiction to this extremely addictive drug; it’s, therefore, important that they seek professional help. Over time, the most effective course of action is a combination of rehab and ongoing therapy, with specialised treatments for each individual. Rehab can be experienced on either an inpatient or outpatient basis. There are also a number of medications used to fight heroin addiction. These include Methadone, Buprenorphine, Suboxone and other various medications which act as sedatives, antipsychotics and antidepressants. They are only used in accordance with a doctor’s instructions. Another important treatment tool to fight heroin addiction is therapy. The root cause of addiction can only be dealt with via therapy in order to prevent a relapse. Various therapy models like Cognitive Behavioural Therapy (CBT), Motivational Therapy (MT), Group Therapy and other types of therapy have shown great efficacy in treating heroin addiction. Is heroin addiction physical or psychological? Heroin is extremely addictive - both physically and psychologically. Repeated use of heroin will lead to a psychological dependence, whereby the user feels the need to take the drug all the time to induce euphoria or just to fend off depression and cravings that come from not taking it. Physical dependence also builds with continued use of the drug; typically, just a few hours after last taking heroin, the user feels the physical symptoms of withdrawal, which are extremely unpleasant and can only be kept at bay by taking more heroin. Is heroin addiction difficult to overcome? Yes. It is very difficult to overcome heroin addiction - especially if the abuser has no one to turn to for help. It is dangerous and almost impossible to overcome heroin all by one’s self, because of the intense withdrawal symptoms an addict will face. However, with professional help, it’s easier and safer to break the habit and kick the addiction. How is heroin addiction treated? There is a wide range of treatment approaches to tackle heroin addiction. The most effective course is a combination of residential rehab, prescribed medications and therapy. Detoxification is also a necessary step, while medication makes withdrawal easier and therapy addresses the root cause of the addiction. What medications are used for heroin addiction? There are a number of medications used to fight heroin addiction. Some of them include Methadone, Buprenorphine, Suboxone and other various medications which act as sedatives, antipsychotics and antidepressants. These are only used in accordance with a doctor’s instructions. Heroin is one of the most addictive drugs anyone can take. Addiction is brought about by repeated abuse of the drug. Even after only a few doses, a user can start to build a dependence on heroin. When this happens, addiction can quickly develop and a person becomes dependent on the drug. How can you overcome heroin addiction? Heroin addiction can be overcome by first admitting you have a problem and seeking professional help. You can’t beat this disease alone, so open up to a loved one and seek professional guidance. If possible, register with a rehab centre to help you overcome this addiction. How bad is heroin addiction? 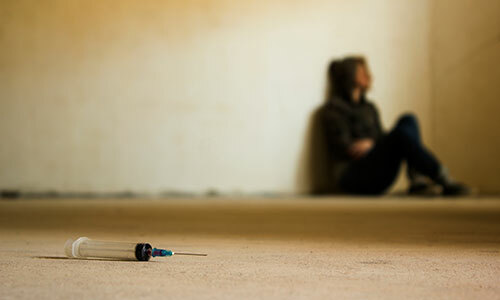 Heroin addiction is a major risk factor for HIV/AIDS, Hepatitis and other diseases. It has many health risks associated with it and is potentially fatal. Can heroin addiction kill you? Yes. Heroin addicts suffer the risk of experiencing a fatal overdose, resulting in death. Can you recover from heroin addiction? Yes. You can recover from heroin addiction if you seek treatment and professional help and adhere to the instructions of your physician and therapist. However, the first step to recovery is reaching out for help.